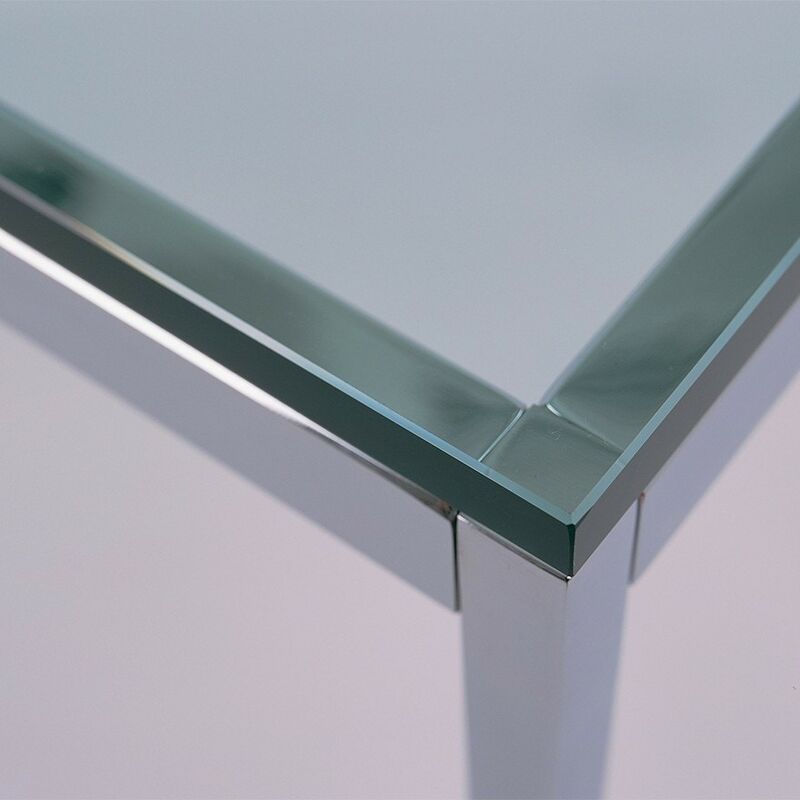 The Florence Knoll Coffee Table, designed to furnish the new interiors of postwar America, is a scaled-down translation of the lines, gestures and materials of modern architecture. 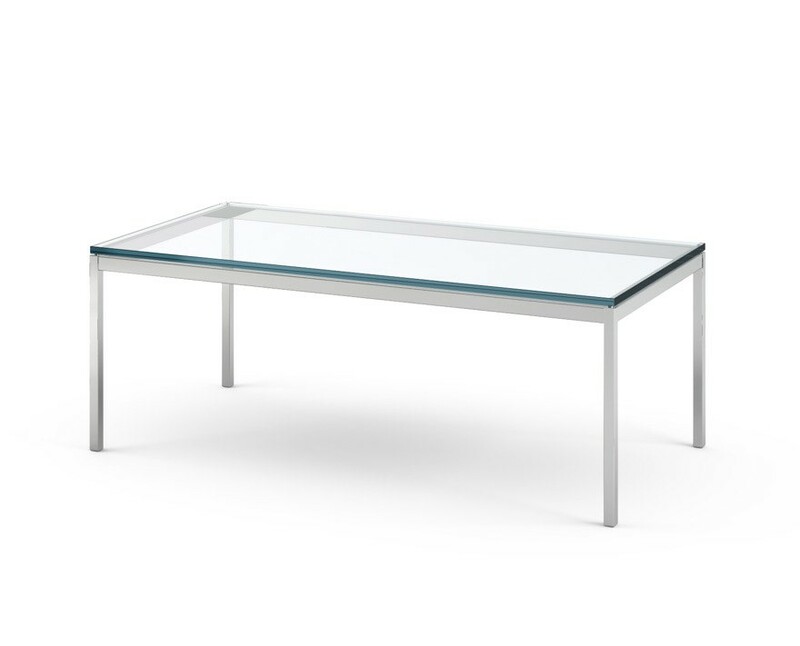 Consistent with all of her designs, the table has a spare, geometric presence that reflects the rational design approach Florence Knoll learned from Mies van der Rohe. 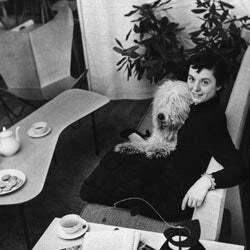 Never one to compromise, Florence would often design furniture when she, "needed the piece of furniture for a job and it wasn’t there.” And while she never regarded herself as a furniture designer, her quest for harmony of space and consistency of design led her to design several of Knoll’s most iconic pieces—all simple, none plain. As skyscrapers rose up across America during the post-war boom, Florence Knoll saw it as her job to translate the vocabulary and rationale of the modern exterior to the interior space of the corporate office. Thus, unlike Saarinen and Bertoia, her designs were architectural in foundation, not sculptural. She scaled down the rhythm and details of modern architecture while humanizing them through color and texture. Her lounge collection, designed in 1954, is a perfect example of her restrained, geometric approach to furniture, clearly derived from her favorite mentor, Mies van der Rohe. 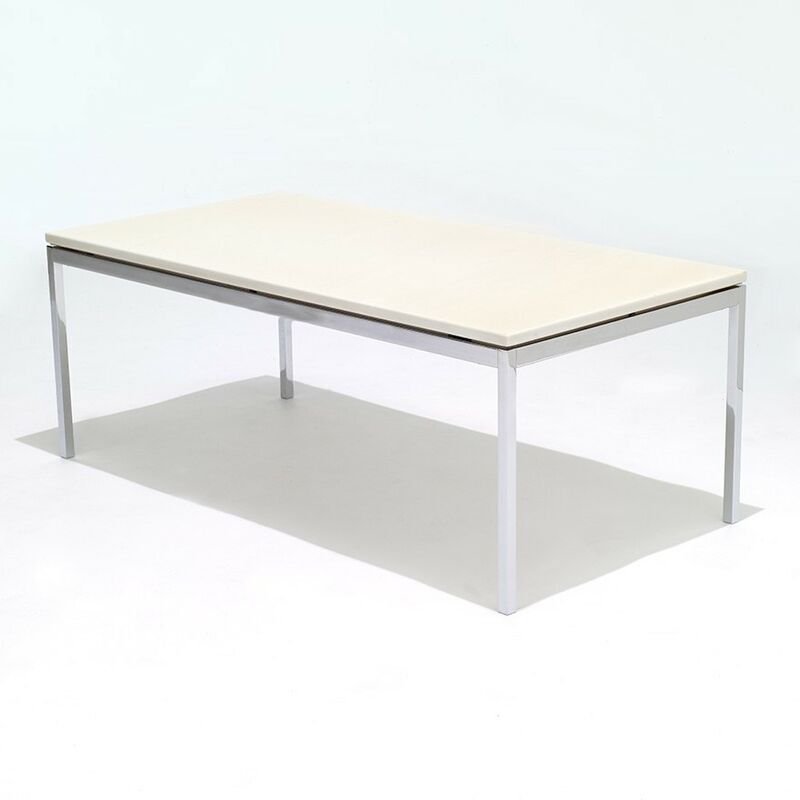 Many Knoll products are subject to shipping charges. Please check our shipping policies for details. Founded in 1938, Knoll's reputation for design integrity has a long and decorated history under the guiding principle: "good design is good business." Knoll invests in extensive research, field studies, customer collaborations, and partners with experts from the fields of architecture, organizational behavior, technology and business management to ensure that its products adapt and respond to the evolving needs of their customers. 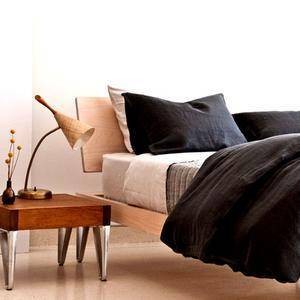 Environmental needs and requirements are not overlooked by design house either. 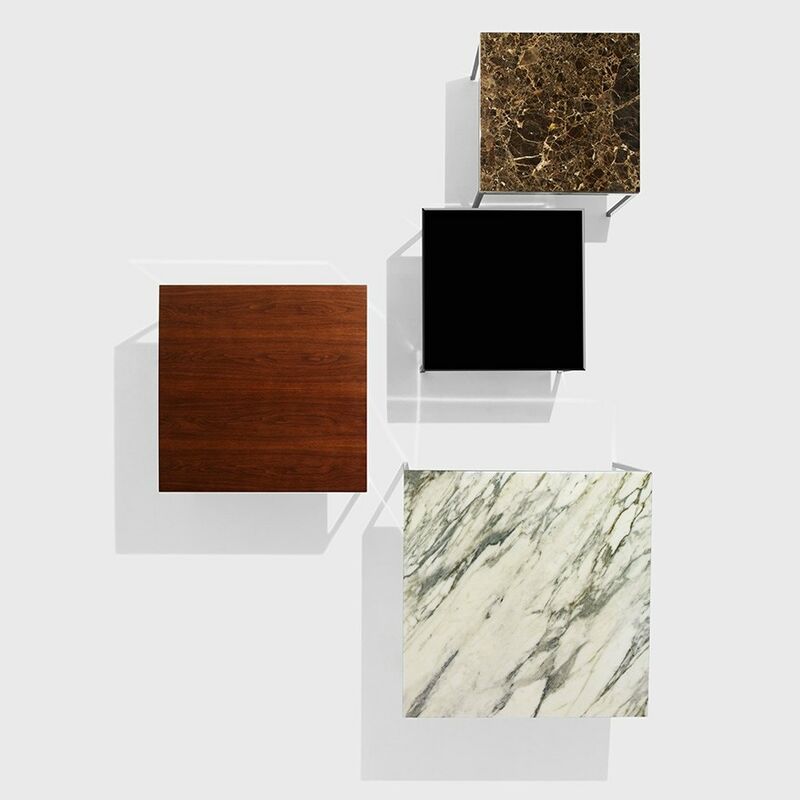 In fact, Knoll is also considered a leader in production practices that reduce waste, conserve natural resources and protect the biosphere. Born Florence Schust in 1917, and orphaned at age 12, Knoll began her architectural studies at the Kingswood School in Michigan and was virtually adopted by the family of Eliel Saarinen. She continued her studies at Cranbook Academy of Art, the Architectural Association in London, and the Illinois Institute of Technology under Mies van der Rohe, where she received her architectural degree. 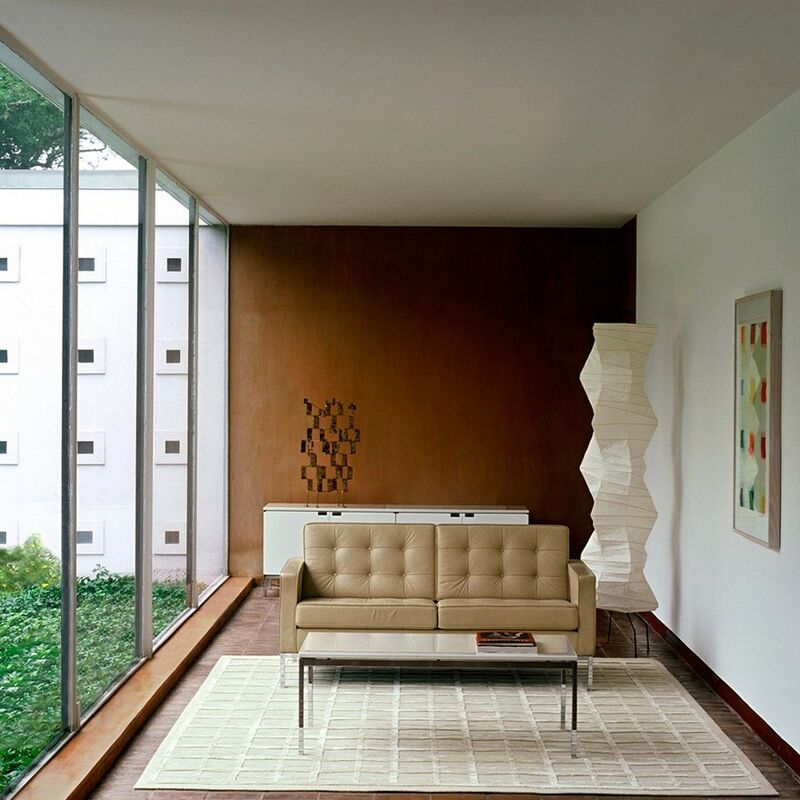 In 1946, she married Hans Knoll, owner of the Hans G. Knoll Furniture Company and the firm became known as Knoll Associates, Inc.
As an architect, interior space planner, and furniture designer, Florence Knoll defined the look and market for modern design in corporate America in the 1950s and made modern American design an international style. Her pioneering interiors profoundly influenced post-World War II design. 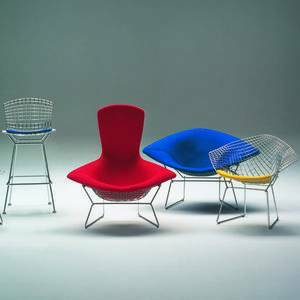 Her reductive aesthetic of light, open spaces furnished with elegant woven fabrics, furniture grouped for informal conversation and brightly colored wall panels made Knoll one of the most influential design firms of the time. Her notable planning projects for the firm included the interior design of the CBS, Seagrams, and Look magazine offices in New York City. After her husband’s death, Florence served as president and continued as design director of the company until 1965 when she resigned to pursue a career as a freelance designer.